Step by step we are creeping closer to the capability of fully repairing any targeted body tissue. Already we can do a decent job in many cases. Of course, everyone would like to see nerve regeneration move along as swiftly, but that is likely the last part of the problem set. Here we have a superior method to infiltrate an artificial bone scaffold leading often to full restoration. 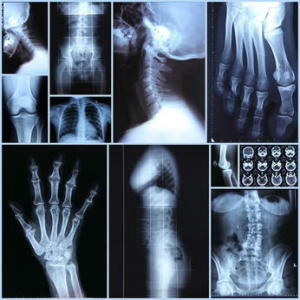 We have posted on other advances in bone work and this is all improvements. Researchers at the Royal College of Surgeons in Ireland (RCSI) have developed a new method of repairing bone using synthetic bone graft substitute material, which combined with gene therapy, can mimic real bone tissue and has potential to regenerate bone in patients who have lost large areas of bone from either disease or trauma. The researchers have developed an innovative scaffold material (made from collagen and nano-sized particles of hydroxyapatite) which acts as a platform to attract the body’s own cells and repair bone in the damaged area using gene therapy. The cells are tricked into overproducing bone producing proteins known as BMPs, encouraging regrowth of healthy bone tissue. This is the first time these in-house synthesised nanoparticles have been used in this way and the method has potential to be applied to regenerate tissues in other parts of the body. Professor Fergal O’Brien, Principal Investigator on the project explained: “Previously, synthetic bone grafts had proven successful in promoting new bone growth by infusing the scaffold material with bone producing proteins. These proteins are already clinically approved for bone repair in humans but concerns exist that the high doses of protein required in clinical treatments may potentially have negative side effects for the patient such as increasing the risk of cancer. Other existing gene therapies use viral methods which also carry risks”. “By stimulating the body to produce the bone-producing protein itself, using non-viral methods these negative side effects can be avoided and bone tissue growth is promoted efficiently and safely,” Professor O’Brien said. The research is the result of a collaborative project carried out between the Tissue Engineering Research Group led by Professor Fergal O’Brien and Dr. Garry Duffy in the Department of Anatomy, RCSI; Professor Kazuhisa Bessho, Kyoto University, Japan, and Dr. Glenn Dickson, Queen’s University Belfast, Northern Ireland and consists of a multi-disciplinary research effort between cell biologists, clinicians and engineers. Results of this study were recently published in the esteemed materials science journal Advanced Materials (1) with Dr. Caroline Curtin, a postdoctoral researcher in the Department of Anatomy, RCSI, as first author. Bone grafts are second only to blood transfusions on the list of transplanted materials worldwide with approximately 2.2 million procedures performed annually (2) at an estimated cost of $2.5 billion per year (3). At present, the majority of these procedures involve either transplanting bone from another part of the patient’s own body (autograft) or from a donor (allograft). However, these procedures have a number of risks such as infections or the bone not growing properly at the area of transplantation. Therefore there is a large potential market for bone graft substitute materials such as the innovative scaffolds being developed by the RCSI team and their collaborators. While the biomaterials developed in this project have undoubted potential for bone repair with the capability to act as a superior alternative to existing bone graft treatments, this gene delivery platform may also have significant potential in the regeneration of other degenerated or diseased tissues in the body when combined with different therapeutic genes. This is currently a major focus of ongoing research in the Tissue Engineering Research Group which has a particular interest in using the platform to deliver genes that promote the formation of blood vessels (using angiogenic genes) in the regeneration of tissues which suffer from compromised blood supply such as heart wall tissue which has been damaged following a heart attack. This research was funded by the European Research Council under the European Community’s Seventh Framework Programme and a Science Foundation Ireland, President of Ireland Young Researcher Award. (1) Curtin, CM, Cunniffe, GM, Lyons, FG, Bessho, K, Dickson, GR, Duffy, GP, O’Brien, FJ. Innovative Collagen Nano-Hydroxyapatite Scaffolds Offer a Highly Efficient Non-Viral Gene Delivery Platform for Stem Cell-Mediated Bone Formation. Advanced Materials 01/2012; 24(6):749-54. (2) Lewandrowski KU, Gresser JD, Wise DL, Trantol DJ. Bioresorbable bone graft substitutes of different osteoconductivities: a histologic evaluation of osteointegration of poly(propylene glycol-co-fumaric acid)-based cement implants in rats. Biomaterials 2000; 21:757-764. (3) Desai BM (2007) Osteobiologics. Am J Orthop (Belle Mead NJ) 2007; 36:8-11.